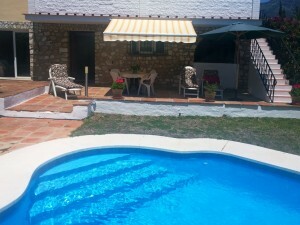 Fantastic country house with 5 bedrooms for sale in Huércal-Overa, Almería. The House has been renovated to a very high level and has 500 m2 approx. Built. You enter the house through a hallway, a wide lounge with two independent areas divided by a bow, two large bedrooms and two bathrooms, one en suite, a dining room and a modern kitchen fully furnished. From the main living room and from the kitchen there is an access to a huge interior patio ideal for celebrations. A separate great area with a bar, a dining area, and a separate bath room, a barbecue area, an independent apartment with a lounge and a bedroom. Next to the dining area you have another room which you can convert into another bedroom. 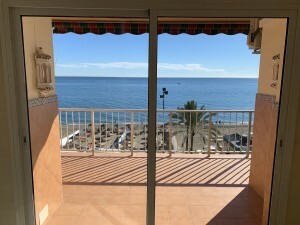 There is also a staircase to the large sun terrace where the views of the surroundings are spectacular and which is ideal to enjoy the fantastic Sun of Almeria. From the dining room you have access to a closed porch with insect screen with views to the area of the swimming pool. 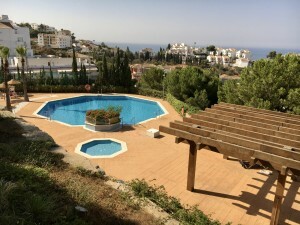 The area around the swimming pool is completely tiled and with different terraces. From this courtyard we have access to a room where you find a large tank of water (16.000 litres) that the current owners fill approx. Once every three months for daily consumption for very little money. There is also a self-contained apartment ideal for visitors/family or to rent out and get some profit out of it. The apartment has a spacious living room and a fully furnished kitchen, a spacious bedroom and a spectacular bathroom. Behind the pool area through a door you find a large garage for two cars. This is ideal if you would rent the apartment, so your visitors have their own access without entering your home. 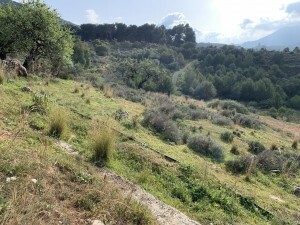 The plot has 10,000 m2 of which half approximately is fenced and there are 18 orange trees and 1 mandarin tree. Through an electric gate you enter the house and there is another gate by which you enter to the part of the land that is not fenced (behind the house). All services (electricity, water and internet) are connected in the House. The water is of irrigation and is way cheaper than the usual companies. 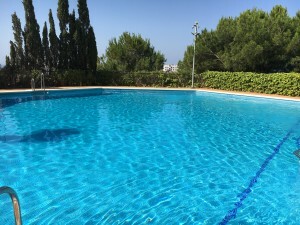 The house is located in the best area of Huércal-Overa, only 10 minutes to the town of Huércal-Overa and where you can find all the amenities including a great hospital and only approx. 20 minutes to the fantastic beaches of Pulpi and San Juan de los Terreros. It is a large House, full of fantastic details, renovated to a very high level which deserves a visit!